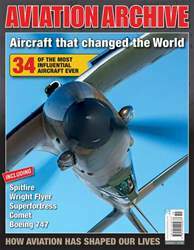 Aeroplane Collectors' Archive is a series of bookazines produced by a dedicated team of enthusiasts which provide detailed, in-depth insights into legendary aircraft of yesteryear. Published bi-monthly, it features archive images alongside period cutaway diagrams. The intention is to take the reader 'inside' the inner workings of these iconic machines for the most detailed view possible. • Historic cutaways - What’s under the skin on these historic aircraft. • Side-profile artwork - Fully detailed, accurate camouflage colours and serials. • Detailed type description - Prototype to production and everything in between. • Operations - Earliest sorties to final combat missions. 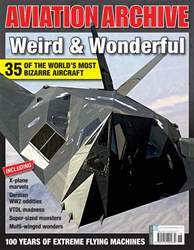 Looking for Aviation Archive Magazine in print? Unfortunately pocketmags.com does not sell print copies of Aviation Archive Magazine, but all is not lost. Our partner at magazine.co.uk sells print subscriptions at the best prices online. 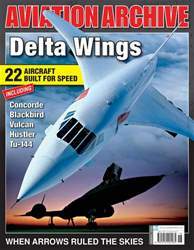 You'll receive 6 issues during a 1 year Aviation Archive Magazine magazine subscription. 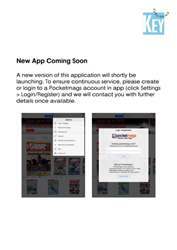 Great Collection of Aviation Bookzines now in Digital Format and also now available in their own app. Such a clever idea to bring these themed books out in this way. The photography and artwork is so detailed and the writing is entertaining and easy to follow. You'll receive 6 issues during a 1 year Aviation Archive Magazine magazine print subscription.